In the U.S., there is a love affair with sugar. Even for those of us who don’t consume soft drinks and don’t keep cookies and snack cakes around, sugary goodies are seen as special treats. We reward ourselves with sugar, we celebrate with sugar, we put candles on sugar and sing around it for goodness sake. But all of this sweetness is having detrimental effects on our collective health—effects that are just coming to light for the vast majority of people. The risks of sugar have been suspected or even known in the natural health community for many years. But now mainstream folks are starting to get it too. Not only is sugar being connected to things like obesity and diabetes, but it is even cancer and kidney damage. Some stats say that the average American consumes 70 grams of fructose per day (that’s 300% more than the recommended amount). Kids consume 7 trillion calories of sugar from sugary drinks each year. The average American consumes 35 pounds of high fructose corn syrup each year. No more than 25 grams of sugar per day is recommended. While sugar consumption is heavily associated with obesity and diabetes development, those aren’t the only issues that can arise. Uric acid levels, something we don’t normally talk about, are significantly raised by excess sugar consumption. This leads to decreased nitric oxide levels, increased angiotensin levels, and elevated smooth muscle contractions. This, in turn, can cause kidney damage, high blood pressure, and an increased risk of insulin resistance and fatty liver disease. Excess uric acid levels is also known to cause gout, so limiting sugar consumption could be seen as just one of many home remedies for gout and the other conditions. In 1920, the average American had about 3.5 ml/dl of uric acid. In 1980, those levels were around 6.0 to 6.5 ml/dl. In addition to this, sugar consumption creates insulin resistance. While we know insulin resistance to be a predicator for type 2 diabetes, it has also been linked to cancer development. One expert suggests that as many as 80 percent of all cancers are connected to insulin resistance. In the past year or so, we’ve seen many packaged foods turn from high fructose corn syrup to “real sugar”. And they are proudly placing this on their labels. But, as conscientious consumers, we can’t blindly accept the elimination of one bad thing when it’s being substituted with another bad thing. Instead, we’ve got to collectively cut down on our sugar consumption as a whole. Your concept very healthy and educative top us all and getting this write-up that Sugar is a Health Destroyer I am totally surprised and can say that this discussion may come to help us more. Thanks and inform like like. Our Nutrition 101 instructor told us the worst thing about sugar is that it satisfies hunger without providing any nutrients. Where are the broccoli brownies? 😉 Good article! SUGAR AND ANY OTHER SUBSTANCE CONSUMED IN ABUSE will have a negative impact in your health. 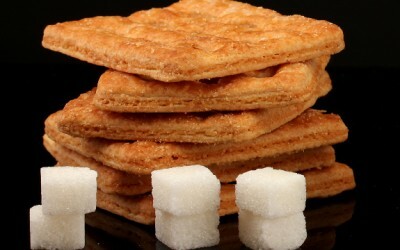 Sugars are needed in our body, brown sugar and honey are the best way to consume sugars. Aspartame IS POISON, AND ALL THE FAKE SUGARS.